'Get Out' may not be one of CHVRCHES' best and doesn't try to push their sound, but would still sit happily in either of their albums released to date. 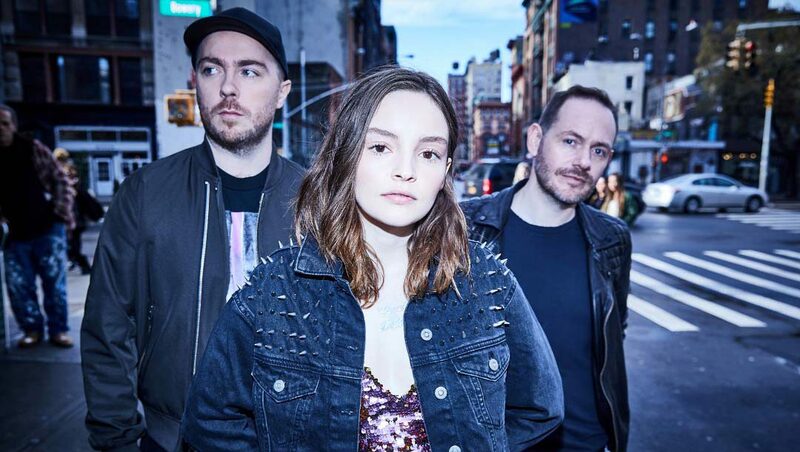 Scottish synth-pop trio CHVRCHES have made a roaring success of their distinctive electric sound. Their 2013 and 2015 albums The Bones of What You Believe and Every Open Eye both broke the top 10 in the UK charts, and Every Open Eye even reached No. 1 in Scotland. As such, it’s not surprising that for ‘Get Out’ – the first single off upcoming third album Love Is Dead – CHVRCHES have stuck to what they know. Unfortunately, the result is that ‘Get Out’ struggles to push any boundaries that the band haven’t pushed before. That’s not to say that ‘Get Out’ is a bad song – far from it. The chorus is a kaleidoscopic tidal wave of electronic, synthesized intoxication that stands out as one of the most entreating that CHVRCHES have crafted. On those days when you just want to forget it all and dance, it’s perfect. But the rest of the song is somewhat lacking, with no unique edge to make it stand out from anything else the trio have produced. The greatest shame is that there’s not much else more to say about it, which shouldn’t be the case for the debut single of a hotly-anticipated album. Let’s hope that the rest of Love Is Dead tries something new, rather than playing it safe. In the meantime, add ‘Get Out’ to those weekend party playlists, and soak up everything that chorus has to offer.